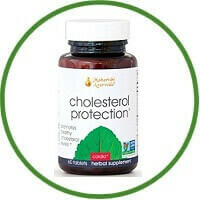 Cholesterol Protection is the safest herbal tablets for healthy cholesterol. This product promotes a healthy ratio of good and bad cholesterol by supporting your natural ability to properly metabolize fats. The role of cholesterol in the body is to synthesize and repair cell membranes, boost Vitamin D production, insulate nerves and strengthen bile formation in the liver.